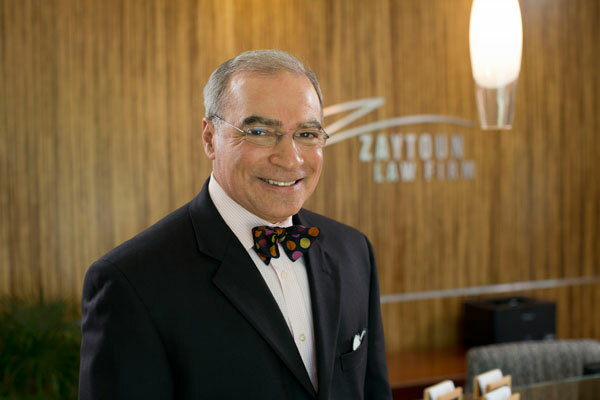 Robert Zaytoun, principal in Zaytoun Law Firm, began his career in 1976 with Salem & Salem, a litigation firm in Tampa, Florida. He became a member with the Florida Bar in 1977 and continues in good standing. He returned to his native North Carolina in 1978, taking a position as an Assistant District Attorney for Wake County. After four years of intense trial work as a prosecutor, trying over 100 cases in front of juries as lead counsel for the State, Robert entered the private practice of law in Raleigh in 1982, focused on criminal defense. His practice soon evolved into representing injured people in personal injury cases. Over the last 25 years, his practice has grown to specializing in catastrophic personal injury, medical malpractice, wrongful death, business litigation, torts, health care fraud and abuse, product liability, managed care litigation and Qui Tam “Whistle Blower” litigation. Robert’s zealous representation of clients is the benchmark of his success as a litigation attorney. Whether he’s appearing in the state or federal courts, by his client’s side at arbitration or mediation, or advocating for justice through his many professional memberships, Robert’s commitment to leveling the playing field for his clients is evident in every aspect of his practice of law. Robert earned his law degree from the University of North Carolina at Chapel Hill in 1975, after having earned his bachelor’s degree in 1971, also at UNC-CH. Robert’s blood runs Carolina blue and he enjoys taking in Carolina sporting events with friends and family, especially Tar Heel basketball. Medical issues predominate in areas of interest throughout Robert’s varied civil trial practice. Over the years, Robert’s recovered multi-million dollar settlements or verdicts for clients in various types of law: medical malpractice, wrongful death, catastrophic injury cases and more. He’s gone up against corporate defendants like national trucking companies, as well as state and private hospitals, powerful managed care companies, and state agencies such as the North Carolina Department of Transportation. Robert has successfully uncovered multiple insurance benefits for his clients, which were not obviously discoverable or applicable. For example, in 2001, Robert persuaded two insurers, the primary carrier and the underinsured motorist carrier, that his clients should be covered for two separate automobile collisions — even though a single vehicle hit them. Robert successfully argued that because the tortfeasor struck his clients two separate times, two collisions occurred. Convincing the insurers of this novel approach to interpreting the language in standard uninsured motorist policies, Robert obtained double recoveries for his clients in their wrongful death and serious personal injury cases. Robert also feels strongly that serving his community is part of the calling as a lawyer. He served for 10 years as the only non-physician (and lawyer) on the North Carolina Health and Wellness Trust Fund Commission, having been appointed by Governor Michael Easley in 2000 and reappointed in both 2004 and 2008. Robert served as acting Chair during his last term on the Commission. The Health and Wellness Trust Fund Commission was created to distribute North Carolina’s billion-dollar share of the National Tobacco Settlement to fund anti-smoking and other health and wellness projects throughout North Carolina. Governor Easley showed further confidence in Robert by appointing him to the Board of Trustees of the North Carolina Symphony. He was re-appointed to this position by Governor Beverly Perdue. Another appointment from Governor Perdue came in 2012, serving on the initial Judicial Nominating Commission. The nonpartisan Commission’s charge was to identify and interview top quality attorneys to be considered on merit for appointment to judicial vacancies. Robert has served on the Board of Directors of Farm Pilot Project Coordination, a non-profit company located in Tampa, Florida, dedicated to the development of innovative technologies to protect ground water from damaging animal waste pollution. Today, Robert serves on the board of New Vision Renewable Energy, a non-profit organization whose mission is to solve energy issues while strengthening community relationships and involvement. 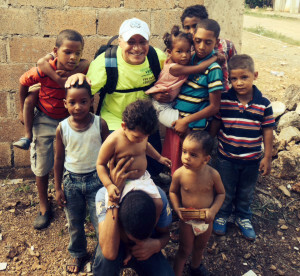 As part of his service for New Vision, Robert recently traveled to the Dominican Republic where he helped oversee the distribution of solar light kits to several needy communities. This initiative will enable children to study at night through solar powered lighting, without the harmful effects of kerosene heat. Outside of his law practice, Robert loves the outdoors and is an avid cyclist, hiker, and backpacker. For many years, he was a competitive runner and is a former marathoner (New York City Marathon). Robert’s always enjoyed film and film history and was appointed by Governor Perdue to serve on the North Carolina Film Council. His involvement continues. The Film Council’s mission is to recruit film production to North Carolina in support of North Carolina’s well-established film industry. He produced a feature-length independent film that was released in 2007. Robert also cherishes saddle time with his Tennessee Walker Grizzly, who he also shows. 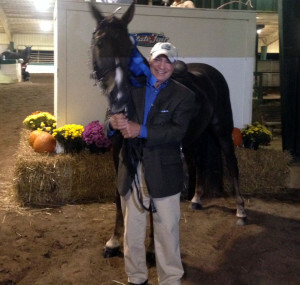 Last year Grizzly won two blue ribbons at the North Carolina State Fair which made Robert extremely proud. Robert lives in Raleigh and has six adult children, all of varied careers, interests and residences (including San Francisco, New York, Charleston and the Virgin Islands). They each share Robert’s vision that whatever vocation you choose, you should do it with passion, enjoy it, and above all, serve your fellow human beings in the process. Vice Chairman, Farm Pilot Project Coordination, Inc.